Another batch of guitars and basses have been added to http://bit.ly/NINebay, including one of the legendary Fragility custom ESP guitars and a Godin ACS Natural SG Acoustic-electric seen being played by Robin Finck during performances of Hurt on the Wave Goodbye tour (as spotted by Torgo on ETS). If you don't think you can afford a working instrument from this batch, you may have a better shot at one of the two casualties of tour being offered. Looking to find something special for the NIN collector that has it all? Howabout gear from Nine Inch Nails' vault o' equipment. We've been going through the NIN touring and studio rigs and are getting rid of a large selection of gear and equipment the band is no longer in need of. So far, a number of guitars (and a banjitar) have been listed. One of them has been identified by Danny Lohner as the guitar used in recording the Still version of The Becoming, as seen in this photo. We've added a widget to the right-side of the screen under all the other feeds - if you want to keep a casual eye on things, moving it up to the top of the feeds should keep it up there permanently on your computer. Or, at least until you rearrange the feed order again. Since we're only showing five items at a time, you can bookmark http://bit.ly/NINebay and see the whole listing yourself. 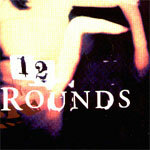 A couple of months ago, we were pleased to share the announcement that 12rounds.net was publishing new songs by 12 Rounds, recorded at Nothing Studios, but never released. At the time, the somber and atmospheric track "Shine On" had been released. The second track to see release is called "Xocet" has Atticus Ross and Claudia Sarne crafting a harder hitting track that blends elements of noise rock and trip hop. I don't really need to sit here and describe it for you because you can download it in MP3, M4A and delicious FLAC for free at 12rounds.net. The Bridge School is composed of four interrelated programs: Education, Transition, Outreach and Research. Explore our Web site to learn about who we are, what we believe, and ways you can benefit and contribute to the ongoing programs, projects, and activities that move all people closer to a life without barriers to education, participation and communication. If you'd like to donate more than the $20 the album costs, they take credit for straight-up donations on their website. Hopefully forthcoming volumes of the Bridge School Collection will see the release of more of the tracks performed by Trent Reznor and company. It's one of my favorite bootlegs, and it's nice to hear the audio in this quality, with the money going to such a great institution. Addendum: You may or may not have noticed that the link I posted goes through LinkShare before hitting iTunes. (Affiliate money comes out of Apple's bottom line, not the artists' bottom line) Any affiliate money generated from click-throughs on the link here on the Hotline will be donated directly to the Bridge School - and at that time I'll ask nicely if they could put more of the NIN material (audio OR video) out as well. guilty wrote in with news posted to 24 bit, where they break down some information on volume 4 of the Bridge School Collection, volume 4. According to the official website for Tegan and Sara (who will also appear on volume 4), the tracks on volume 4 include Hurt and The Fragile, as performed on October 22nd 2006 at that year's Bridge School Benefit. The album is available on Tuesday through the iTunes store, and proceeds go to the Bridge School. For more information, visit that Tegan and Sara news page. We'll remind you on Tuesday, too. The NIN Historian is doing some massive updates to the site and cleaning out the closet as well. Just fired up a new link of items for sale. Check back often.. I'll keep updating when I find new goodies to offer up to the NIN Community! From nin.com: We are pleased to offer you The New Regime's debut album 'Coup' as a free digital download. The music is available in high-quality MP3s, 320kbps. For those of you interested in physical products you can purchase Coup on CD or the Coup Deluxe package featuring vinyl, CD, DVD w/ live performances and interview, 16-page booklet, and more available EXCLUSIVELY at The New Regime Store. Click here to get your free copy now, and if you like what you hear, please buy! And thanks to Tony B., Digg it! A couple of weeks ago we mentioned that a track called "Potions" was being release by Puscifer (Maynard James Keenan's catch-all music/performance outlet), and it warranted mentioning here because it featured Trent Reznor in the writing credits, lending to the theory that it's some form of a song written during the TapeWorm sessions in 2003. As we briefly mentioned The six track EP was released on Amazon's MP3 store and iTunes on Tuesday, and not only is Potions a really good track, it's also a pretty good representation of the quality of the rest of the EP. It's worth noting that the version of Potions appearing on the EP is the "Deliverance Mix" - perhaps the original version will surface eventually. The New Regime live + Coup: DE, Robin Finck Rocks! Limited to 1,000 copies, they are hand numbered and signed. Visit The New Regime's site for more information and to order your copy now! Capital_M was able to capture some great pictures, video and the setlist from tonight's debut Regime show at the Detroit Bar. Don't forget! The New Regime is playing a show on 11/19 at the Viper Room in LA. You can buy tickets online for $10 here or $12 day of show. It's a 21+ show. Small cameras allowed, but no video. Also, Jetsetter23 submitted a cute LA times article about Robin Finck, written by his neighbor. It's well worth a read! Spent the afternoon revising the nine inch nails Fragile Deluxe Edition prototype with A+R. Now it'll be a month before we get the next one. Artists In Residence (A+R) were responsible for the deluxe editions of Ghosts. If you haven't started putting away money for this deluxe release, now's a good time to force some fiscal responsibility on yourself. If you start saving now, you won't have to neglect your utility bills to get in on the pre-sale for this one. Over at the official NIN merch store, you can find the Echoplex hoodie from the NINJA tour ($49.99), as well as the "Wave Goodbye" 'digital lines' shirt ($19.99) sold on that same tour. Dating back even further, it looks like they've got those gray tshirts from the release of And All That Could Have Been for $19.99, and the With Teeth 2006 tour program you bought for too much money on eBay a couple of years ago, selling at (wait for it) $19.99. Thank to everyone who wrote in on these! We got a nice write-up and recognition from New Security Action, the group heading up the Close Gitmo Now effort. Thanks again to everyone who participated in this effort.